Need a tough fixed blade that can be used for a variety of camping and recreational activities? Large blades for outdoor use are designed for utility and must be durable and tough enough to stand up to a variety of tasks. The best outdoor knives are versatile enough for chopping firewood, building shelters or cooking, as well as everyday cutting needs. Look for a knife with a rugged and easy-to-grip handle as well as a long blade with a durable finish. 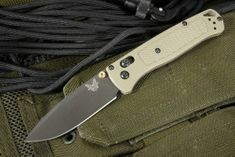 Some top brands for camping and outdoor knives are Benchmade Knives and Spartan Blades. 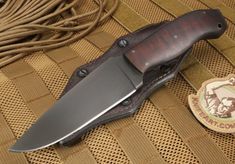 We sell high quality, American made recreational knives that are ideal for hunting, fishing and camping. Buy with confidence as we offer a no-questions-asked return policy if you're not satisfied with your purchase.